Here at 6CATS we’re dedicated to sharing our knowledge of the complexities of international compliance with contractors seeking opportunities overseas and the latest developments that they need to be aware of. As the second largest economy in the world, China is a place which undoubtedly offers a huge range of opportunities for contractors. The country has an estimated $23 trillion worth of natural resources, the world’s largest total banking sector assets of $39.9 trillion, and, according to Hays Recruitment, there are growing talent shortages across a number of industries. On top of this, the destination is perfect for those looking to sample foreign cultures, with 53 world heritage sites across the country, such as the Great Wall of China, Forbidden City of Beijing and the Terracotta Army. Earlier this month however, there were changes to income tax laws which may have serious ramifications for contractors looking to work in this destination. This comes after a raft of other stories indicating that China is taking a harsher approach to tax evasion, such as the aggressive pursuit of high profile individuals for tax fraud, and a recent Double Taxation Avoidance Agreement (DTAA) signed with India. What do contractors need to know about China’s new income tax law? Foreigners who live and work in mainland China for prolonged periods will be required to pay tax on their worldwide income under a new law which came into effect earlier this month. Approved at the end of August, the new legislation defines a ‘resident taxpayer’ as anyone who is either domiciled in mainland China, or non-domiciled but spends 183 days or more there over the course of a calendar year. Previously, foreigners had to spend more than 12 months in the country before being classed as a ‘resident’. The difference between a resident and non-resident taxpayer is that the former is liable to pay tax on their global income, not just the money they make in China. But it isn’t all doom and gloom for contractors, as the new tax law comes with an exemption. Resident taxpayers who spend more than 30 consecutive days outside the country in any given six-year period are exempt from having to declare their global earnings. In the past, individuals had to leave the country for 30 days or more once every five years to gain exemption, so this revision gives them 20% more time to meet obligations. However, under the original law, as well as the option of the 30-day exile, taxpayers could avoid having to declare global income by taking a cumulative 90 days a year outside the country. That second option has been omitted from revised legislation, which could cause problems for workers who are unable to take an extended break from their jobs. However, some sources have claimed that there is still a chance it could be reinstated or clarified in a subsequent notice from the tax authority. There is still a large degree of uncertainty around the legislation – including questions over exactly when the 183-day and six-year clock starts ticking – and if the law will invalidate agreements already in place to prevent workers being taxed twice on the same earnings. For instance, Beijing and Hong Kong currently have an agreement in place that allows people to work on either side of the border but pay tax only to the relevant authorities at their registered home. Under the new rule, that exemption will no longer apply to certain groups, such as Hong Kong residents with a permanent home or family on the mainland, unmarried Hongkongers working on the mainland, Hong Kong retirees living on the mainland, and mainlanders who work but do not live in Hong Kong. 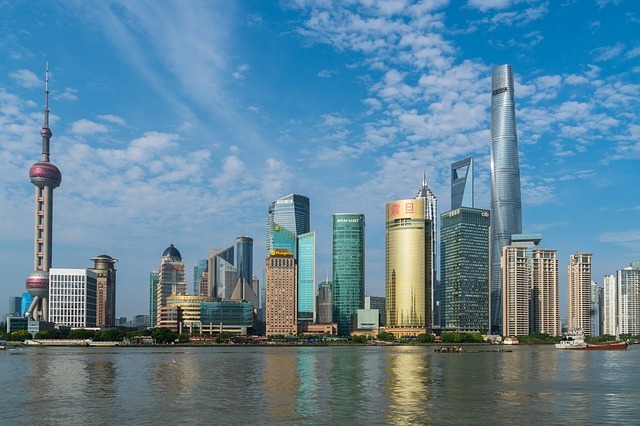 China’s attitude to tax evasion has become highly aggressive in recent years, in line with the rest of the globe, and contractors should be warned of this should they wish to work there. Aside from being members of the CRS, the worldwide movement to ensure greater tax transparency and vastly reduce tax evasion, recent reports have also indicated that a number of celebrities have ‘disappeared’ in 2018 as a result of tax evasion and other offences. As we’ve mentioned before, this was the case with Chinese film star Fan Binbing. Fan’s 63 million followers on the Chinese social media platform Weibo were shocked when the actress was quietly whisked away by Chinese authorities after fraud allegations went public. For more than 100 days, her whereabouts were unknown and neither Fan nor authorities made any public statements explaining her disappearance until here re-emergence on social media where she apologised to fans for all wrongdoing. If the most famous person in China is being subjected to this type of treatment, one cannot expect ordinary citizens to escape harsh punishment. At a time when China’s tax laws are unclear, it can be challenging for contractors to not only keep abreast of developments, but also understand what the impact will be on them should they choose to work there. What we know for certain is that China is tough on tax evasion. Remaining compliant, therefore, is of paramount importance to those doing business in the country. Unfortunately, making a small oversight could land you in hot water, and make you an inadvertent tax evader. This, however, should not dissuade contractors from working in the country and taking advantage of the vast amount of opportunities that the global superpower has to offer. With the right help and assistance, the hassle of international compliance can be avoided and you’ll be able to transition seamlessly into a new working environment. If you are at all unsure of China’s new income tax law or your compliance status overseas in general, then speaking to a team of experts who can guide your through the process is strongly advised. We have always received a prompt, reliable and accurate service which is very important to our business and all of our partners. Time critical issues are always dealt with within timescales allowed which is a great aid to running an efficient operation.